Build your own mobile apps and software solutions with the simple to use VenuIQ portal. Create powerful native apps for your events. Build a programme of sessions and speakers then customise with your own branding. 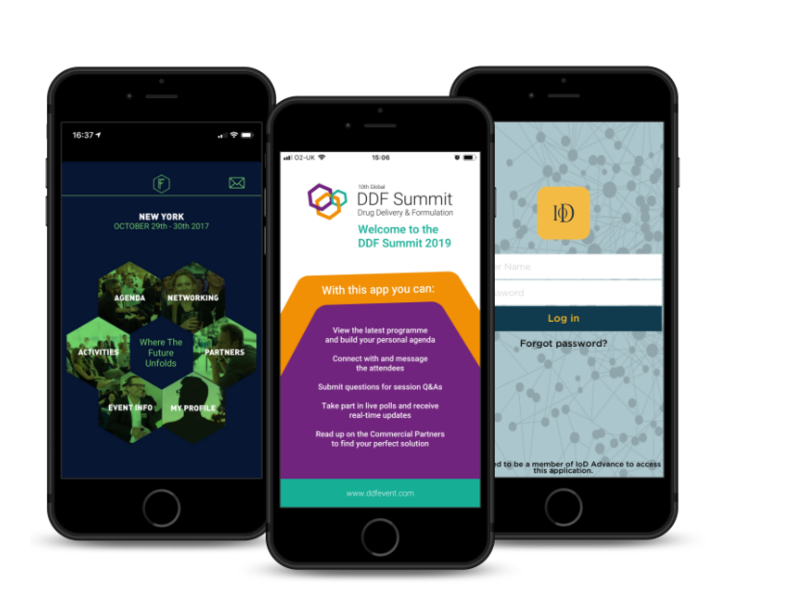 Enhance your events with tracking, heat mapping, seminars, social, event registration forms and pages, gamification and more. Industry leading solutions for membership based organisations. Run your application process, membership directory, news services, internal chat, social feeds and more. Give your organisation a branded boost with an always on mobile app solution. Top of the line app solutions for enterprises. Our experienced designers and developers create a bespoke app for your business which you manage in your own portal. Corporate directory, chat, internal events, press releases, and more at your fingertips. 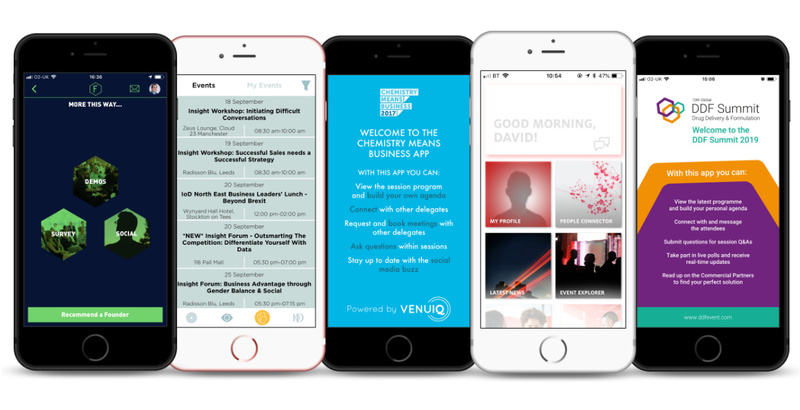 VenuIQ is a management system that allows you to build and publish your own branded native apps from a browser. We have a simple to use builder platform and unlike other systems we don’t leave you to your own devices. Our UK based team is available to support you every step of the way, from a product demonstration to bespoke design and feature requests.